Becoming an octogenarian is not no easy feat, considering that 80 is a whole 10 yers beyond the biblical three scores and ten years stipulated for mankind. 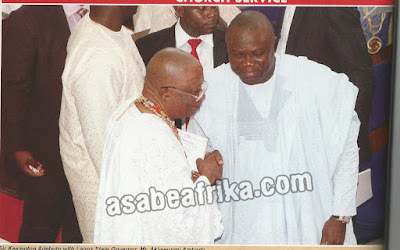 Little wonder that popular businessman and betting entrepreneur, Sir Kesington Adebutu rolled out the drums big time to thank God and mark the occasion with the “mother of all” parties. 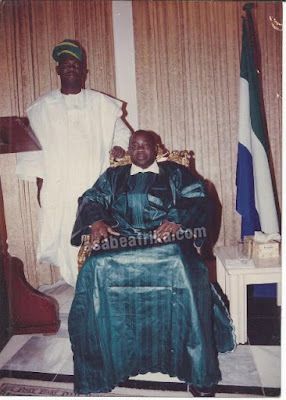 Sir Kessington Adebukunola Adebutu was born on Ocotber 24, 1935, in Iperu Remo in Ikenne Local Government Area of Ogun State, to late Alhaji Kerimu Folarin Adebutu and late Alhaja Seliat Olasimbo Adebutu. Sir Kesington attended the Wesley Primary School, Iperu Remo and completed his primary education at Ijero Baptist School, Ebute Metta, Lagos in 1950. In January 1951, he was admitted to Baptist Academy School, Lagos but he completed his secondary education at the famous Remo Secondary School (RSS), Sagamu Remo, Ogun State. He began his early life at Cable & Wireless Limited (which later transformed to NITEL) as Operation Clerk.  He then joined Claffin Chemicals as Salesman and through a dint of hardwork rose to become Regional Sales Manager for Lagos and the then Midwestern Region. It was his quest to provide employment for teeming Nigerian youths that led to the establishment of Face Millionaires Pool Limited with his bosom friend, Chief Solomon Ayoku in 1969. 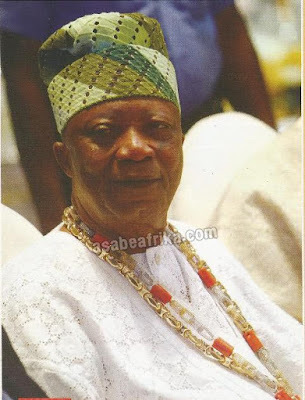 The Philanthropist par excellence who abandoned his ambition of becoming a Lawyer because he preferred ‘enjoying’ life, is today the Founder and Chairman of Kesington Adebukunola Adebutu Foundation (KAAF) and promoter of the popular Premier Lotto, better known as Baba Ijebu. But beyond the fanfare, it was another occasion to express his humaneness and penchant for helping the less privileged when his Foundation which was celebrating its 10th Anniversary conducted a free medical outreach programme in Iperu-Remo, Ogun State. Also, he gave out eight brand new cars and other valuable gift items to loyal customers of Premier Lotto the day before the mega birthday celebration. For the pride of Ogun state, Sir Kessington Adebutu was recently rewarded as an ICON during the Ogun at 40 celebrations and celebrated as a man of character, kindness and generosity. 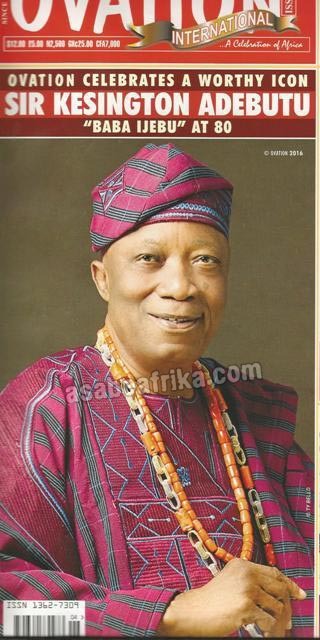 The momentous occasion was further embellished, as he was honoured with the traditional title of Asoju Oba of Lagos by Oba Rilwan Akiolu (The Oba of Lagos) (replacing the late Chief Molade Okoya Thomas). The auspicious day was bright and beautiful as the celebrant woke up with his regular morning devotion, where, with the entire family members, he dedicated the day to the glorious hands of God. Even before the prayers could end, and just as the first flicker of light began to penetrate his windows, visitors came to wish him well. 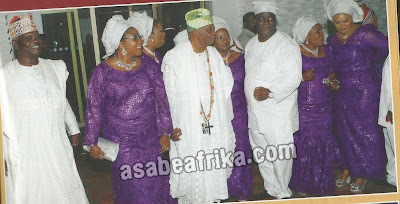 Of course, everyone who knows, Sir Kesington Adebutu is aware that he is a man of the people. The preparation for the church service was first-rate and classy, capturing all the finesse of a quintessential man of style. By 11am, a convoy of exotic cars left for the Methodist Church of the Trinity, Tinubu, Lagos where the thanksgiving service was held. At the church, guests, spotlessly dressed in orange, blue and silver outfits were seated patiently, awaiting the Man of the Occasion. His arrival, heralded a new kind of excitement that enlivened the atmosphere and the service proper began. The Officiating Priest eulogized the courage of the time-tested entrepreneur, saying that Sir Kesington’s life has touched a lot of lives across the nation. He gave thanks to God for giving this generation a man in the caliber of Sir Adebutu, who despite his accomplishments never forgets the Lord. In his short speech, the celebrant was full of thanks to the Almighty God for sparing his life this far, saying that it was neither by his power nor wealth that he is alive today. The event planners, under the direction of the celebrant’s wives were at their creative best. They laid out an impressive yellow carpet, instead of the regular red carpet. 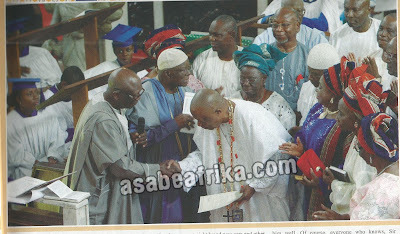 Here, many were given the opportunity to discuss the personality of Sir Adebutu @ 80. They paid glowing tribute to a man they all agreed has firmly planted his feet on the sands of time. The near carnival that was witnessed at the church as child’s play, compared to the superlative reception that unfoled at the prestigious Eko Hotels and Suites. It was a party like no other, a fitting celebration of a worthy business titan. ...And People came to celebrate the New Asoju Oba of Lagos..
As expected, several top personalities from all walks of life converged at both the church and reception to celebrate him. Among them were top politicians, business moguls, captains of industry, members of the diplomatic corps, academia, royal fathers, leaders of market associations, notable entertainment practitioners and ordinary Nigerians whose lives he had touched. Personalities included: Governor of Ogun state, Senator Ibikunle Amosun and his wife, Dr. (Mrs.) Olufunso Amosun who doubled as the Chairman of the event, Awujale of Ijebuland, Oba Sikiru Adetona; white cap chiefs, who represented the Oba of Lagos, Oba Rilwan Akiolu, former President, Chief Olusegun Obasanjo (GCFR); the former US Ambassador, Amb. Walter Carrington and wife, Mrs. Arese Carrington, former Governor of Ogun State, Aremo Segun Osoba and wife, Dr. Mrs. Derinsola Osoba, former Governor of Ogun State, Otunba Gbenga Daniel and his wife Yeye Olufunke Daniel, Lagos PDP gubernatorial candidate, Mr. Jimi Agbaje; former Lagos State Deputy Governor, Mrs. Sarah Sosan; former President of Island Clu, Chief Adeniyi Williams; the Deputy Governor of Lagos State, Mrs. Idiat Adebule and her boss, the Governor of Lagos State, Mr. Akinwunmi Ambode; Senator Oluremi Tinubu, Senator Teslim Balogun, Senator Fatima Raji Rasaki, Senator Iyiola Omisore, Senator Olorunmbe Mamora, Hon. Desmond Elliot, Hon. Omosede Igbinedion. Publisher of OVATION Internatioanl Magazine, Bashorun Dele Momodu; the immediate past Governor of Ekiti State and Minister of Solid Minerals, Dr. Kayode Fayemi; Chief Rasaq Okoya and wife, Sade, Chief Onafowokan and wife Mojirade, former First Lady of Lagos State, Dame Abimbola Fashola, the Asiwaju of Ile-Ife, Chief Alex Oyekunle Duduyemi, Senator Buruji Kashamu, Justice Shola Oguntade (Rtd) and wife, Mrs. Shade Oguntade; Hajia Abba Folawiyo, Hon. Femi Gbajabiamila and the legendary story-teller and entertainer, Pa. Jimi Solanke. At the lavishly decorated reception venue K-Square Security a leading Nigerian security company provided water-tight security. At every interval, the likes of 2Face Idibia, Sir Victor Olaiya, Mike Aremu, Pa Jimi Solanke and the ever youthful King Sunny Ade were on hand to provide soul inspiring music, which added a touch of spice to the A-list event. 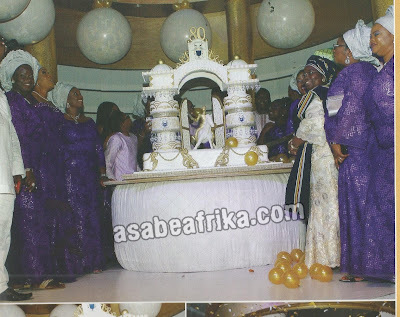 In company of the Deputy Governor of Lagos State, Mrs. Idayat Adebule, his grand and great-grandchildren, Sir Kesington Adebutu cut his gigantic 4-tier 80th birthday cake to the thunderous applause of everyone. And everyone wished the great entrepreneur, betting expert and philanthropist 80 glorious cheers! 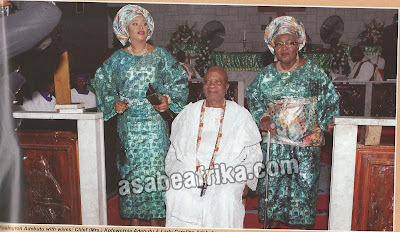 At 80, the man Kesington Adebutu has affected the lives of very many people through his foundation. His 80th birthday presented an opportunity for so many of them to say ‘thank you’ to this remarkable philantroist who loves God with all his heart. These are a few of the tributes that were showered on Sir Kesington by family and friends. From President Muhammadu Buhari, President and Commander-in-Chief of the Nigerian Armed Forces came this prayer to Sir Kessington Adebutu “It is my prayer that legacy of harmony, prosperity and steadfast progress you brought to your community and the nation will endure perpetually even as Almighty God blesses you with robust health and many more years of fulfillment. The ideals of unparalleled patriotism, piety and sterling leadership which you epitomizes, are traits which will continue to inspire us in our national efforts”. Muhammadu Buhari, President, Federal Republic of Nigeria. Former Nigerian President and Commander-in-Chief of the Armed Forces, Chief Mathew Aremu Okikiolakan Olusegun Obasanjo also said something for the celebrant “You are a remarkable entrepreneur whose vision, determination and resilience have added value to the community and hundreds, if not thousands of families who depend on your ventures, enterprises and other commercial activities. A giant in very many respects, a distinguished leader in the church, politics, business and philanthropy, above all you are a patriot and a nationalist of no mean order”. Former President Olusegun Obasanjo. The next man to speak about the virtues of Sir Kessington Adebutu is the former Lagos State Governor and National Leader of the APC, Asiwaju Bola Ahmed Tinubu. Hear him speak about Baba Ijebu ‘It is hard to beat a man that never gives up’ those are the words of Baba Ruth, one of the very first five men to be inducted into the Baseball Hall of Fame. They are words I am sure Sir Kessington Adebukunola Adebutu is very familiar with, even if both men are legends of different games. As he doggedly fought the dire conditions of his youth to rise to the pinnacle of his chosen trade, Sir Kessington must have trained his body and mind to resist the urge to submit to defeat. A people’s lover and friend of the poor! A fine gentleman and an inspiration to us all! 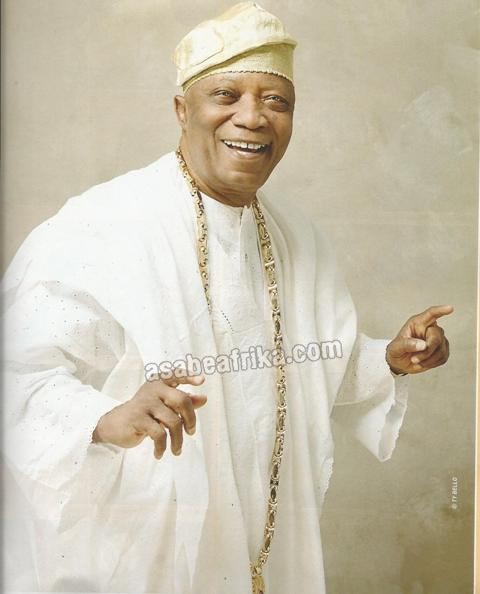 Sir Kessington Adebukunola Adebutu, I salute you!” Asiwaju Bola Ahmed Tinubu, former Governor, Lagos State. The Governor of Lagos State, Mr. Akinwunmi Ambode praised the lotto king to heavens when he declared “I admire and love your energy, particularly the way you share your gifts for living fully with your family and friends, the integrity you bring to your work, the joy you find in helping others and your enviable achievements in the field of commerce. You exemplify everything that is dear and noble; character, intelligence, kindness and love, which all comes easily to you. I am a living witness of your generosity and charitable lifestyle. Best wishes on behalf of me and the good people of Lagos State”. His Excellency, Akinwunmi Ambode, Governor of Lagos State. Ogun State Governor, Senator Ibikunle Amosun (SIA) is a man of few words but once he says something, trust that he will always make sense and that was why everybody took his words for Baba Ijebu serious “Baba Ijebu, as he is fondly called by his admirers and clientele, belongs to the generation of trail blazers and illustrious sons of our dear state. Indeed, Chief Adebutu’s successes in business epitomize one of Steve Job’s quotes – “I’m convinced that about half of what separates the successful entrepreneurs from the non-successful ones is pure perseverance”. Happy birthday Baba Ijebu! Senator Ibikunle Amosun, Governor of Ogun State. “I have enjoyed his deep friendship, advice, reliability, and great character… he is a complete gentleman, a great achiever and a man of uncommon kindness and wisdom”. 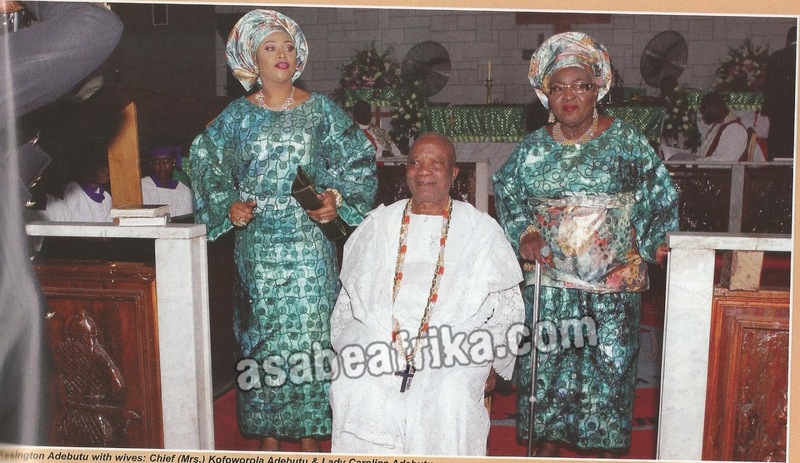 Baba A. Ajibola, former Judge, International Court of Justice.